The SBE 37-SMP-ODO MicroCAT is a high-accuracy conductivity and temperature (pressure optional) recorder with Serial interface, internal batteries, Memory, integral Pump, and Optical Dissolved Oxygen sensor. The MicroCAT is designed for moorings or other long duration, fixed-site deployments. Constructed of non-corroding materials to ensure long life with minimum maintenance, it is rated for operation to 350 meters (plastic ShallowCAT housing) or 7000 meters, or pressure sensor full-scale range. Calibration coefficients are stored in EEPROM, allowing output of C, T, (optional) P, DO, and time in ASCII engineering units (decimal or XML; raw output available); salinity, sound velocity, and specific conductivity can also be output. SENSORS Conductivity and Temperature sensors are based on our field-proven SeaCAT and SeaCATplus. Electrical isolation of conductivity electronics eliminates any possibility of ground-loop noise. 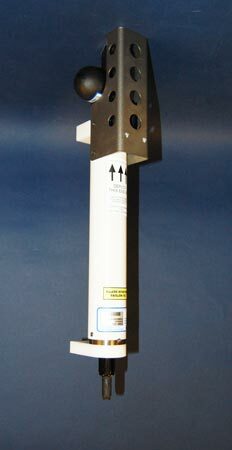 Our unique internal-field conductivity cell permits the use of expendable anti-foulant devices, for long-term bio-fouling protection. The aged and pressure-protected thermistor has a long history of exceptional accuracy and stability.